If your idea of a perfect holiday is to soak in the best of nature, then Northeast India should definitely be your next pick. Here you can explore nature’s unspoilt beauty sans the throng of tourists at every nook and corner. And among all the northeastern states, one of the most popular picks is often Meghalaya, known as ‘the Scotland of the East’. The hilly terrain offers many picturesque sights that will make you stare at wonder. True to its name, which means an abode of clouds, you can witness the formation of clouds and even walk amidst them. 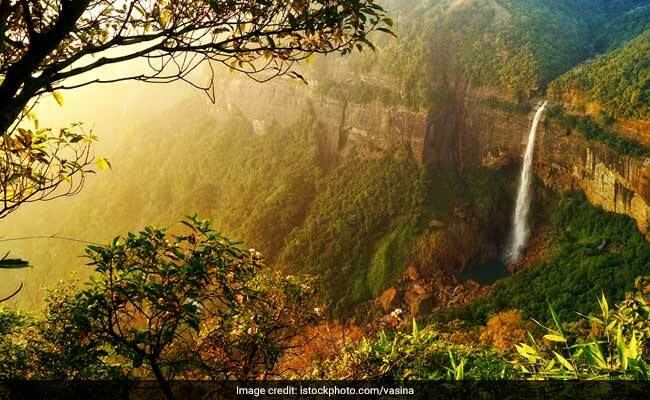 Touted to be the wettest place in India, Cherrapunji is a hotspot for nature lovers. Just 60 kms away from Shillong, it makes for a peaceful getaway, where you can book your stay at a luxury resort and soak in as much green as possible. Places to visit near about include Nohkalikai Falls, Mawsmai Caves and double decker Living Root Bridge. Though living root bridges have been around for hundreds of years, it is only in the recent years that they have gained huge popularity, attracting tourists from near and far. A creation of the local tribes, these bridges were skillfully made across river streams from the roots of rubber trees. The double decker living root bridge at Nongriat village is a must-visit, although it’s a tough trek. You need to climb about 700 steps! There’s another living root bridge near Mawlynnong that’s easier to explore. More popularly known as the cleanest village in India, Mawlynnong is a great stopover to get a glimpse of the local culture and savour local food too. You can either plan a day trip or book a night’s stay at the village. If you have seen stunning pictures of boats sailing through crystal clear, blue green water, it is none other than Dawki. Located close to Bangladesh border, the bank of the Umngot river is a popular tourist spot for obvious reasons. Despite the crowd, it’s still worth your time because the river ride is a experience that leaves you spell bound. A better option is to sign up for adventure camps in Dawki to skip the crowd and experience the true beauty of the river. This may not be as popular as the above mentioned destinations, but probably that’s what makes it a great offbeat option to witness the natural beauty of Meghalaya. Known as a paradise for trekkers, you can witness the breathtaking gorges by making your way through steep rocky paths and lush meadows. Last but not the least, a trip to Meghalaya can’t be complete without spending time in Shillong. In the capital, you can indulge in local foods of smoked meat and noodle soups, let your hair down in the various bars, buy the gorgeous silk traditional wear called jensen, explore local markets, head to a hill top to watch the stunning skyline of shillong, or make a short trip to Mawphlang Sacred Forest. To get your dose of nature, make your way to Meghalaya and recharge your soul.